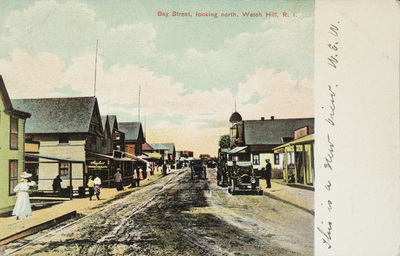 "Bay Street, looking north, Watch Hill, R.I." by Rhode Island News Company, Providence, R.I.
Bay Street, looking north, Watch Hill, R.I.
Rhode Island News Company, Providence, R.I., "Bay Street, looking north, Watch Hill, R.I." (1915). Rhode Island Postcards. 450.